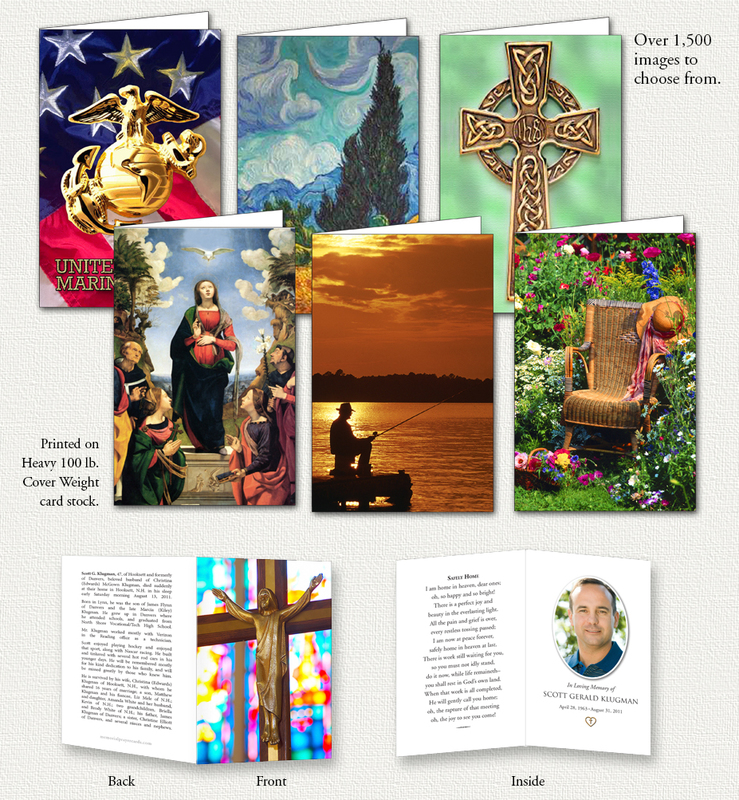 Folding Memorial Prayer Cards are custom designed with the image and copy you choose. The folding prayer cards are printed on a heavy 100 lb. card stock. Choose any image you wish from the over 1,500 images in our collection or provide your own. When folded the cards measure 3 1/4 inches by 5 inches. 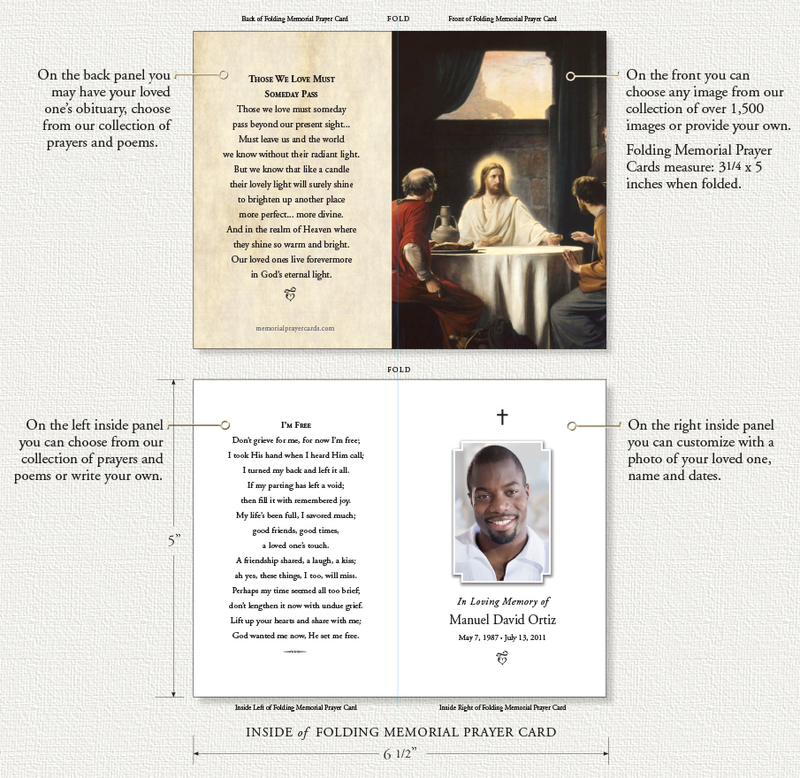 Our Folding Memorial Prayer Cards are custom designed with the image and copy you choose. The folding prayer cards are printed on a heavy 100 lb. card stock. Choose any image you wish from the over 1,500 images in our collection or provide your own. When folded the cards measure 3 1/4 inches by 5 inches. Order form opens a new window. 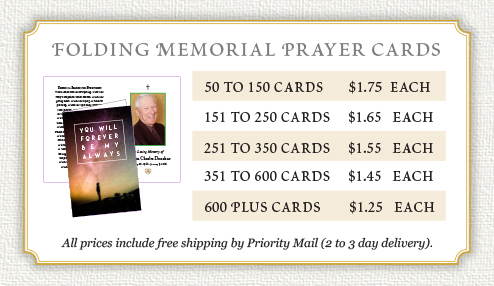 Memorial Prayer Cards ©2012  Memorial Prayer Cards on the internet since 1998.